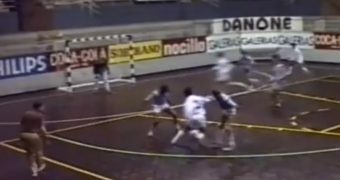 Why would New Zealand bid to host the 2020 FIFA Futsal World Cup? 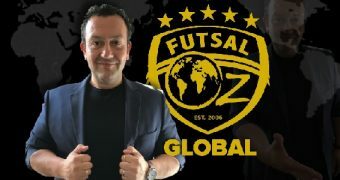 New Zealand has officially submitted their bid to host the 2020 FIFA Futsal World Cup but for a novice of the sport, a big question would be, why? Well, firstly, let’s look at who else is interested in hosting the ninth edition of the competition. Competing to host the tournament are Costa Rica, Croatia, Iran, Japan, Kazakhstan, Lithuania and the United Arab Emirates. The only continents with a nation not running is Africa and South America, who will host the tournament on their soil next month at Colombia 2016. 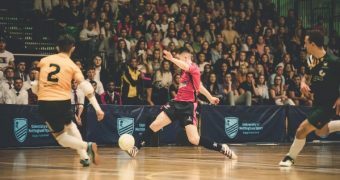 Futsal’s growth across the world has been significant, participation numbers in such countries as Brazil show that around 37 million people play Futsal regularly there, that is the population of Canada. 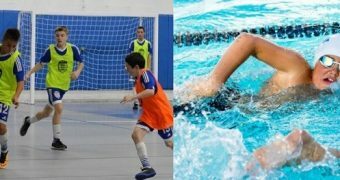 In Iran there are 16 million registered Futsal players, 16 from a population of 77.45 million, then we have Japan with a Football participation of around 5.5 million but Futsal participation is steadily catching up with it, with around 3.5 million participants and just over 40,000 registered referees. 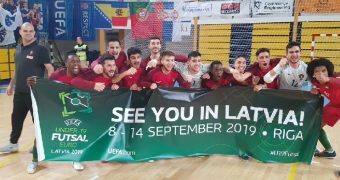 Other participation examples can be seen in Europe, we only have to look to Spain and Italy, 20% of the Spanish population play Futsal, that’s 9 million and in Italy, there are 1.5 million registered Football players, yet there are 4.5 million registered Futsal players. Therefore, when we add these numbers up, that is 69.5 million which is only 5 figures from the 122 associations under FIFA’s umbrella who are developing the sport across the world. 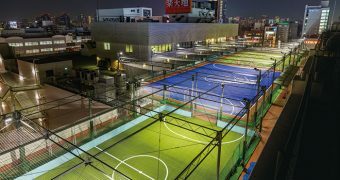 The FIFA Futsal World Cup is a hugely significant event from a broadcasting point of view with television coverage of the 2012 edition in Thailand reaching 138.6 million people around the world. Each live match was watched by an average in-home global audience of 2.2 million and the peak audience for the final was 24.9 million. And, attendance wise, Brazil topped the overall record in 2008 with a total of 292,161 spectators. 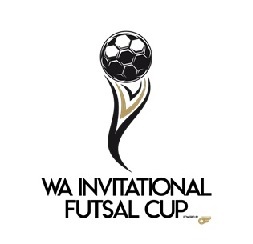 If you are still wondering why New Zealand would want to host the competition then let’s look at the growth of the sport in New Zealand and the impact hosting the FIFA Futsal World Cup had for Thailand. 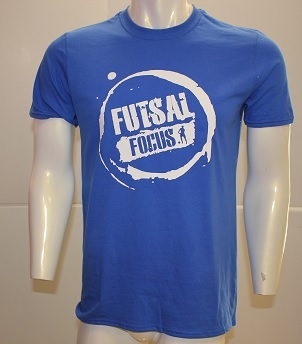 Just a decade ago, futsal in New Zealand was a largely unrecognised, low-participation sport with a number of private operators running their own futsal businesses and minimal national organisation. In the years since, New Zealand Football has turned the running of the sport into a fully-integrated, well-managed operation. 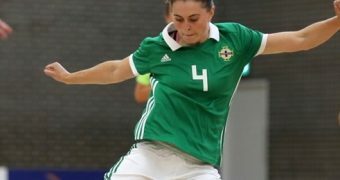 It now runs as a department of the national body, which rolls out the sport through futsal development departments in each of the country’s seven regional football federations. 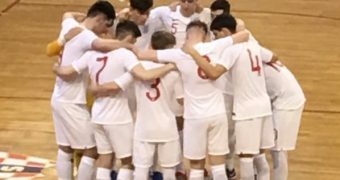 There are now over 20,000 registered futsal players in the country and it is the fastest-growing indoor team sport in the secondary school system. Thailand hosted the competition in 2012 and as mentioned it was FIFA’s most successful world cup, since then in Thailand their national futsal league has boomed with increased national interest, club participation across the country, a surge in attendance numbers, the government at the end of 2015 commission the development of 1,000 futsal courts at schools across the country. Furthermore, the AFC Futsal Club Championships were recently held in Thailand and were a massive success. The competition saw a record attendance for a single match broken three times – first in local favourites Chonburi Bluewave’s second group match against Nagoya Oceans, with the host side repeating the feat again in the quarter-final and semi-final, which was watched by a sell-out capacity of 11,050 fans. 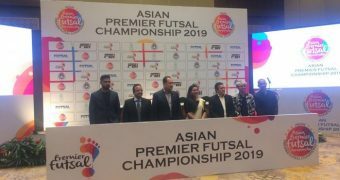 More than 64,600 watched the championship, beating the aggregate spectatorship of all the previous AFC Futsal Club Championships combined since the competition started in 2010. The 2016 attendance increased by 365% on the 2015 edition. That impact was also reflected in the social media numbers, with the AFC’s Twitter account reaching 912,974 impressions, 300% higher than the 2015 championship. The AFC’s Facebook saw an increase of almost 70% impressions. The championship also contributed to the 1 million minutes of action viewed on the AFC Hub YouTube channel this month. AFC President Shaikh Salman bin Ebrahim Al Khalifa congratulated the finalists and the Thai organisers. “From start to end, the AFC Futsal Club Championship Thailand 2016 has been an overwhelming success, setting new benchmarks on multiple fronts. I would like to extend my gratitude to the Thailand Local Organising Committee and the Football Association of Thailand for all their dedication and close attention to detail in delivering this world-class event,” he said. Therefore you can see why New Zealand Football or any nations would be interested in hosting a FIFA Futsal World Cup, the growth in participation, TV viewers and investment that would come from the event would have a significant impact on the sports development in New Zealand. The bid is supported by the New Zealand Government and the Oceania Football Confederation, the latter of whom New Zealand Football will work alongside in creating legacy opportunities that serve the whole region in the event of a successful bid. 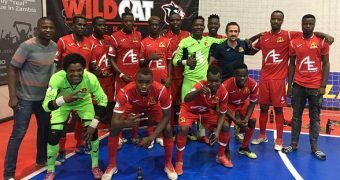 New Zealand has never competed in a FIFA Futsal World Cup but the Oceania region has been represented in two previous tournaments by the Solomon Islands, who boast current squad members plying their trade in Brazil, the home of futsal. The Kurukuru are ranked 43rd in the world and will take part in Colombia 2016. 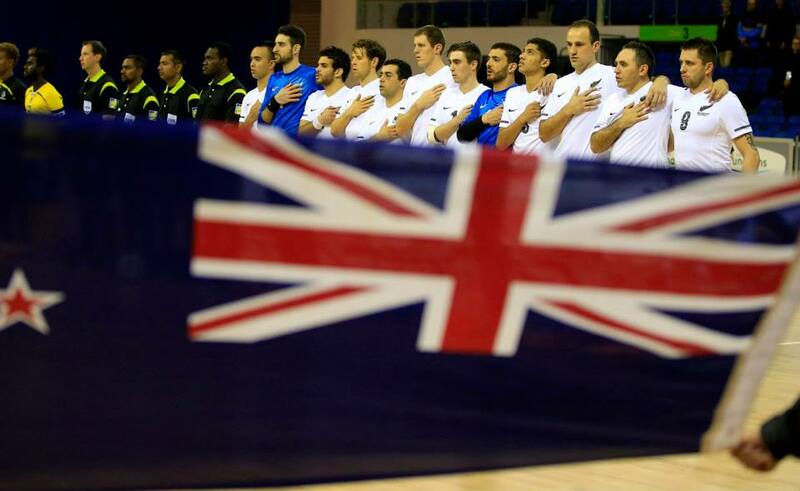 The New Zealand ‘Futsal Whites’ are ranked 73rd but have won 14 of their last 15 matches and finished runners-up at this year’s OFC Futsal Championship, held in Fiji during February. Months of meticulous planning and hard work came to fruition when the official bid document was submitted to FIFA headquarters in Zurich, Switzerland earlier this month. 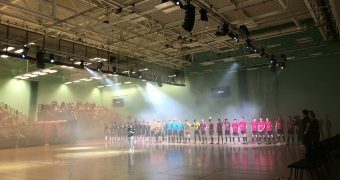 “Futsal holds an important place in New Zealand sport and we are excited to submit our bid to host the 2020 World Cup,” New Zealand Football Chief Executive Officer Andy Martin says. 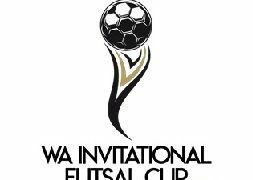 If the bid proves successful, New Zealand will become the first country in the Oceania region to ever host the prestigious event, which brings together the world’s best exponents of the hugely-popular indoor version of the beautiful game. 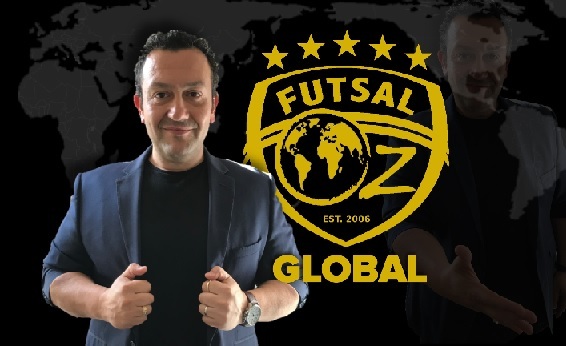 It would be a watershed moment for futsal in New Zealand, which has experienced rapid growth since being brought under the umbrella of New Zealand Football in 2010. 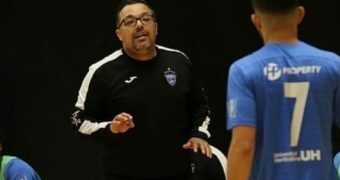 “New Zealand Football and its federations have worked hard over the past seven years to establish futsal as a sporting option of choice for Kiwis,” Futsal Development Manager Dave Payne says. Seven of the nation’s main cities – Auckland, Christchurch, Hamilton, New Plymouth, Palmerston North, Rotorua and Tauranga – have already signalled their interest in hosting matches. The necessary facilities and infrastructure are in place and, crucially, New Zealand has previously proven its ability to organise and run FIFA tournaments seamlessly after hosting the 1999 FIFA U-17 World Cup, 2008 FIFA U-17 Women’s World Cup and 2015 FIFA U-20 World Cup. There have been three other FIFA events hosted in Oceania, with Australia twice hosting the FIFA U-20 World Cup while a member of the confederation and Tahiti staging the FIFA Beach Soccer World Cup in 2013. Papua New Guinea will become the fourth OFC nation to host a FIFA event when the FIFA U-20 Women’s World Cup kicks off later this year.